Coasting — Thanks @Sticker Mule for these coasters, they look amazing! If you would like to get one, I'm doing a little giveaway over at instagram. Check it out here! Don't forget to hit that "L", and also follow me on Instagram, Twitter, and facebook for more fun! 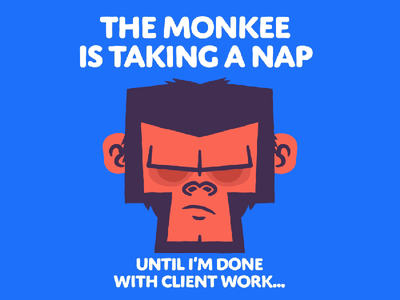 Take a Break Monkee... — 🐵💤I was having tons of fun with this project, but things got super busy lately that I need to prioritize client work, but believe me when I say I will finish this character! P.S: Turn the sound on! 🔈 Don't forget to hit that "L", and also follow me on Instagram, Twitter, and facebook for more fun! 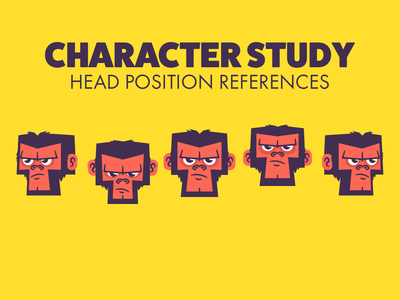 Character Study Monkee — I decided that this year I'm going to dig deeper into animation. After a very long time, I'm finally jumping back to this project. Building this guy in after effects using Joystick 'N Sliders so I can use it later for a series of projects I have in mind. Wish me luck! Don't forget to hit that "L", and also follow me on Instagram, Twitter, and facebook for more fun! 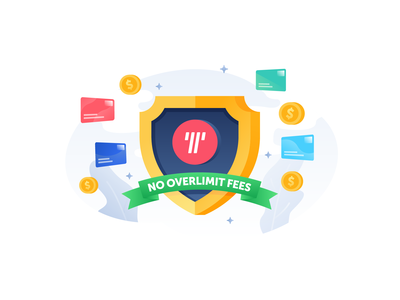 No Over Limit Fees! 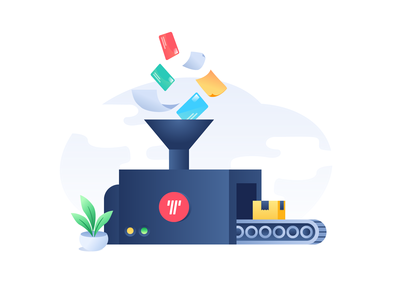 — I did this illustration for @Tally a couple of months ago but completely forgot to share. 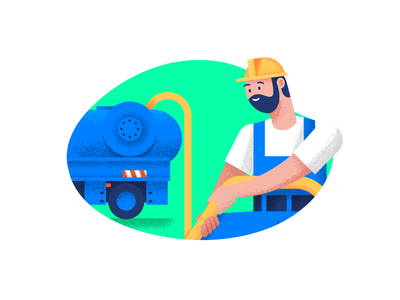 It's a super simple illustration, but I like the fact that it is not my typical style. Take a break from your style every now and then and challenge yourself. Don't forget to hit that "L", and also follow me on Instagram, Twitter, and facebook for more fun! 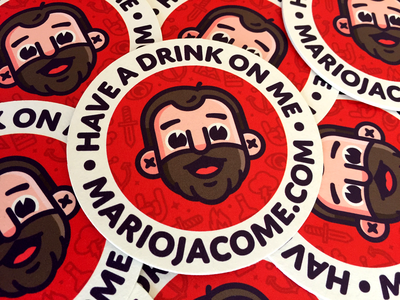 Have a drink on me... get it? — Come on you must admit this is funny. Not funny pee your pants, but "sitting in your desk make sure nobody is watching giggle" funny. 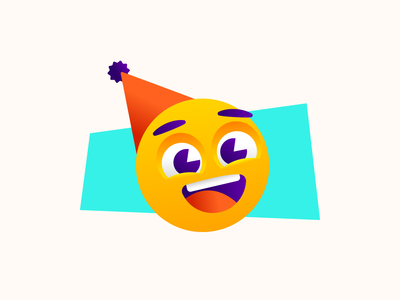 For the longest time I've been saving this little joke, and now finally thanks to @Sticker Mule I'm able to use it! Don't forget to hit that "L", and also follow me on Instagram, Twitter, and facebook for more fun! Little Tiny Small Illustrations Part Two — Took me a little bit longer than expected to post this, but here is part two of my Little Tiny Small Illustrations 😊 Also, don't forget to follow me on Instagram, Twitter, and facebook for more fun! Patterns+Patterns — Still playing with this pattern. Now testing different colors. 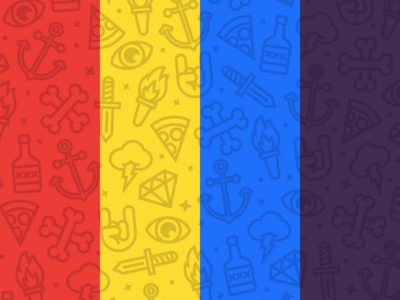 As a little gift, I created wallpaper versions on each color. Feel free to download, share, etc! Also, don't forget to follow me on Instagram, Twitter, and facebook for more fun! 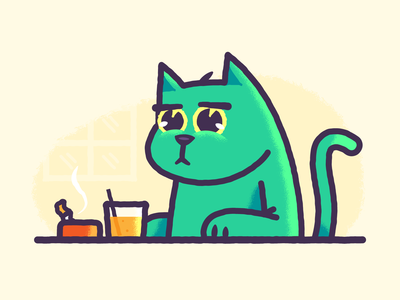 Emotions — 2019 so far has been a rollercoaster of emotions. It feels like we get out of one thing just to jump to another, and it has only been half month. Hopefully, we will get back on track soon and make this year the best yet! Happy New Year! Merry Christmas 2018! 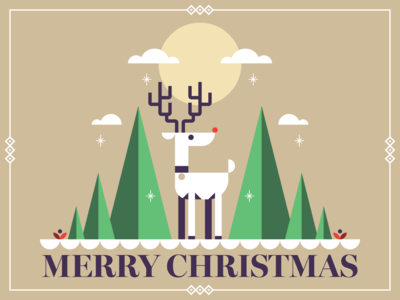 — Merry Christmas Dribbble Family! 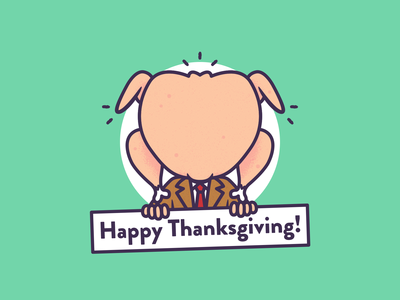 Hope everyone is having a great time with all the people you love! Badges Exploration 🔍 — Hello World! 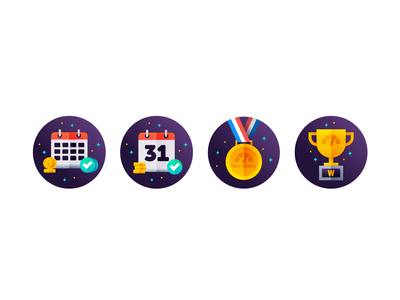 I did some exploration for a set of badges related to credit scores. Some of the ideas were about on-time payments and credit score record. Now that I come to think of it, I'm not sure if this project ever made it to the interwebz 🤔 Don't forget to follow me on Instagram, Twitter, and facebook for more fun! Man at Work — Who can it be now? 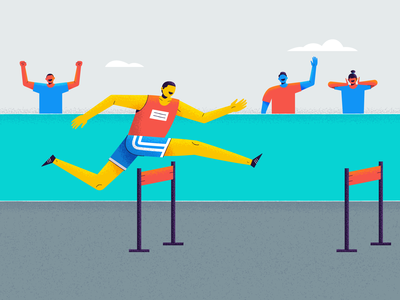 I don't know, but this is another illustration for @Tally. 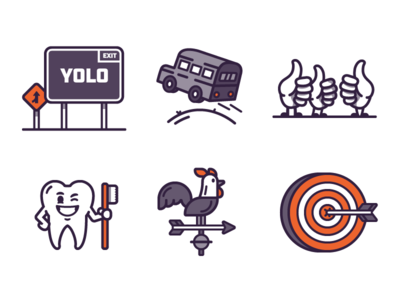 Little Tiny Small Illustrations Part One — Hello World! 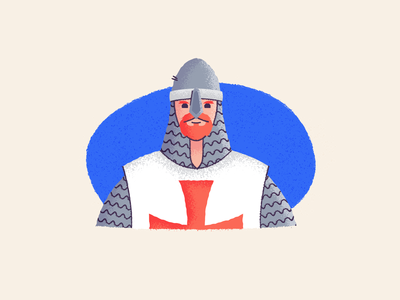 Here are some illustrations I did for an e-book. The idea was to keep them simple and fun. I'm still creating a couple of more here and there, so stay tuned! Also, don't forget to follow me on Instagram, Twitter, and facebook for more fun! 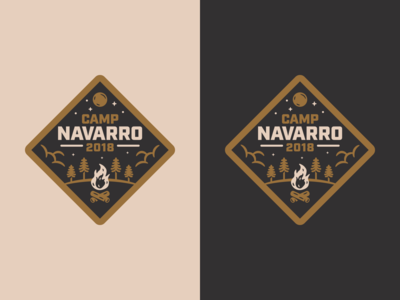 Camp Navarro Badge — I had so much fun with this project for @Tally. 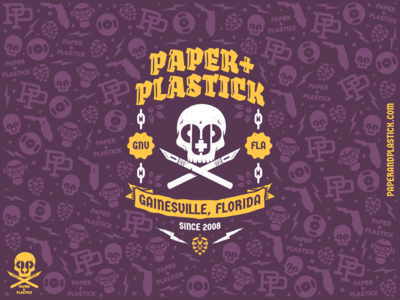 We did multiple iterations of the badge, but we ended up going with the first concept I came up with. It's funny how the creative process works 🤓 Don't forget to follow me on Instagram, Twitter, and facebook for more fun! Pump It! — Another Llego illustration and I'm not even close to being done. Stay tuned for more! Check the attachment for a slightly different version. Don't forget to follow me on Instagram, Twitter, and facebook for more fun! Microscope — These illustrations were part of a project that I started almost exactly a year ago, but never really got the chance to finish. I completely forgot about it and just came across it while looking for some other files. Enjoy your Tuesday! 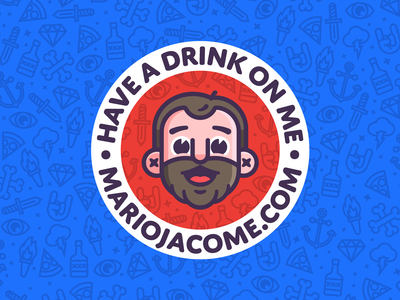 Also, don't forget to follow me on Instagram, Twitter, and facebook for more fun! Knighty Knight! — I did this illustration using the brushes from the collab between @RetroSupply Co. and @Adam Grason. If you don't have them yet, you should check them out! One App to Rule Them All... 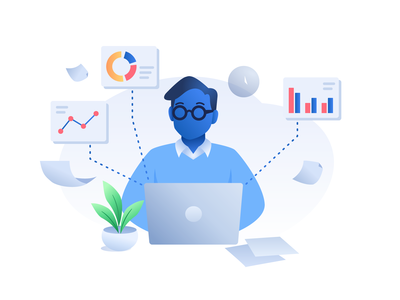 Your Payments — Another illustration for @Tally to show how easy it is to control all your credit card payments 💰🤓 Don't forget to follow me on Instagram, Twitter, and facebook for more fun! 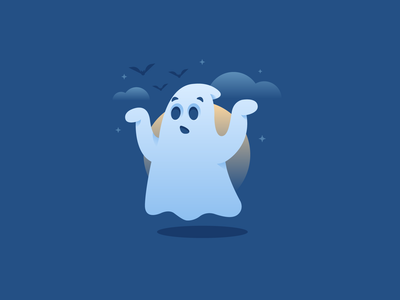 Boo 👻 — So here is a little illustration I did for the awesome people over at @Tally! Stay tuned to see more fun stuff we are putting together! Don't forget to follow me on Instagram, Twitter, and facebook for more fun!